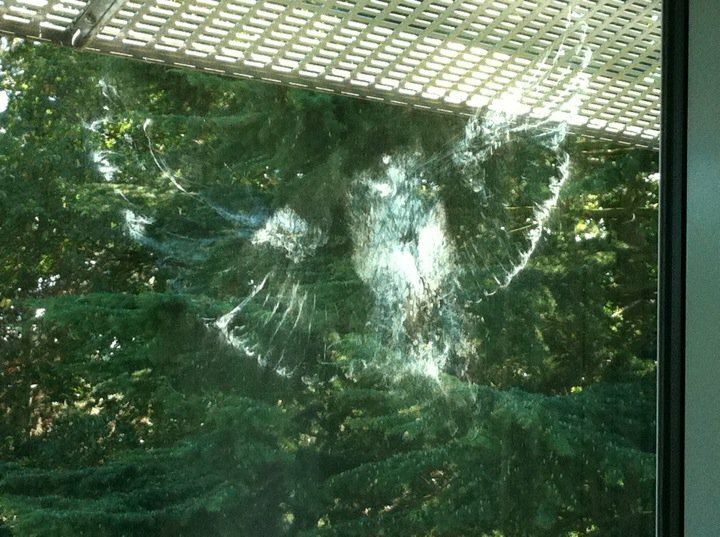 Ducatio: An owl flew into the window at my lab. Here's the imprint it left. This photo has not been altered. An owl flew into the window at my lab. Here's the imprint it left. This photo has not been altered.